Instant Online Access to Over 3000 Massage Questions Including Answers and Rationale. Includes Exam Creation, Tracking and Review Features, Live Help, and The New NCETM Exam Simulation for 1 Month. Instant Online Access to Over 3000 Massage Questions Including Answers and Rationale. Includes Exam Creation, Tracking and Review Features, Live Help, and The New NCETM Exam Simulation for 3 Months. Instant Online Access to Over 3000 Massage Questions Including Answers and Rationale. Includes Exam Creation, Tracking and Review Features, Live Help, and The New NCETM Exam Simulation for 6 Months. Instant Online Access to Over 3000 Massage Questions Including Answers and Rationale. Includes Exam Creation, Tracking and Review Features, Live Help, and The New NCETM Exam Simulation for 1 Year. Instant Online Access to Over 3000 Massage Questions Including Answers and Rationale. Includes Exam Creation, Tracking and Review Features, Live Help, and The New NCETMB Exam Simulation for 1 Month. Instant Online Access to Over 3000 Massage Questions Including Answers and Rationale. Includes Exam Creation, Tracking and Review Features, Live Help, and The New NCETMB Exam Simulation for 3 Months. Instant Online Access to Over 3000 Massage Questions Including Answers and Rationale. Includes Exam Creation, Tracking and Review Features, Live Help, and The New NCETMB Exam Simulation for 6 Months. Instant Online Access to Over 3000 Massage Questions Including Answers and Rationale. Includes Exam Creation, Tracking and Review Features, Live Help, and The New NCETMB Exam Simulation for 1 Year. 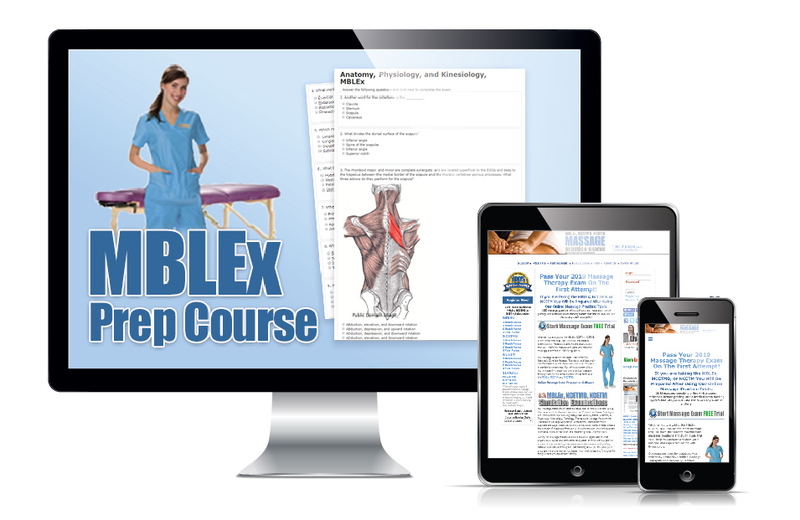 Ready to Print Study Guide With 500 Massage Questions From Our Database Focused on The NCETMB Test. Includes Answers and Rationales in PDF Format. Ready to Print Study Guide With 500 Massage Questions From Our Database Focused on The NCETM Test. Includes Answers and Rationales in PDF Format. Instant Online Access to Over 3000 Massage Questions Including Answers and Rationales. Includes Exam Creation, Tracking and Review Features, Live Help and the New NCETMB Exam Simulation for 1 Month. 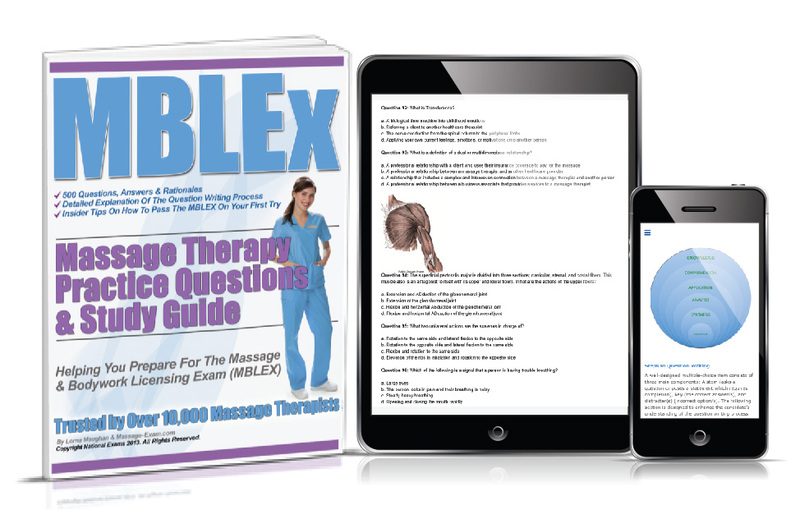 You Also Get The Ready to Print Ebook Study Guide With 200 Massage Questions Generated at Random From Our Database. Includes Answers and Rationales in PDF Format. Instant Online Access to Over 3000 Massage Questions Including Answers and Rationales. Includes Exam Creation, Tracking and Review Features, Live Help and the New NCETM Exam Simulation for 3 Months. You Also Get The Ready to Print Ebook Study Guide With 200 Massage Questions Generated at Random From Our Database. Includes Answers and Rationales in PDF Format. Instant Online Access to Over 3000 Massage Questions Including Answers and Rationales. Includes Exam Creation, Tracking and Review Features, Live Help and the New NCETM Exam Simulation for 6 Months. You Also Get The Ready to Print Ebook Study Guide With 200 Massage Questions Generated at Random From Our Database. Includes Answers and Rationales in PDF Format. Instant Online Access to Over 3000 Massage Questions Including Answers and Rationales. Includes Exam Creation, Tracking and Review Features, Live Help and the New NCETMB Exam Simulation for 1 year. You Also Get The Ready to Print Ebook Study Guide With 200 Massage Questions Generated at Random From Our Database. Includes Answers and Rationales in PDF Format. Instant Online Access to Over 3000 Massage Questions Including Answers and Rationales. Includes Exam Creation, Tracking and Review Features, Live Help and the New NCETM Exam Simulation for 1 Month. You Also Get The Ready to Print Ebook Study Guide With 200 Massage Questions Generated at Random From Our Database. Includes Answers and Rationales in PDF Format. Instant Online Access to Over 3000 Massage Questions Including Answers and Rationales. Includes Exam Creation, Tracking and Review Features, Live Help and the New NCETMB Exam Simulation for 3 Months. You Also Get The Ready to Print Ebook Study Guide With 200 Massage Questions Generated at Random From Our Database. Includes Answers and Rationales in PDF Format. Instant Online Access to Over 3000 Massage Questions Including Answers and Rationales. Includes Exam Creation, Tracking and Review Features, Live Help and the New NCETMB Exam Simulation for 6 Months. You Also Get The Ready to Print Ebook Study Guide With 200 Massage Questions Generated at Random From Our Database. Includes Answers and Rationales in PDF Format. Instant Online Access to Over 3000 Massage Questions Including Answers and Rationales. Includes Exam Creation, Tracking and Review Features, Live Help and the New NCETM Exam Simulation for 1 year. You Also Get The Ready to Print Ebook Study Guide With 200 Massage Questions Generated at Random From Our Database. Includes Answers and Rationales in PDF Format. Instant Online Access to Over 3000 Massage Questions Including Answers and Rationale. Includes Exam Creation, Tracking and Review Features, Live Help, and The New NCETMB Exam Simulation for 1 Day.